Right now the US has got it wrong – again. We talk about exchange rates the one you should all watch for is the exchange of blood for oil. With UN Resolution 1973, the western media were already distorting the truth and speaking about air strikes, ground attack and how to help the rebels. The social media has been flooded with masses of mis-information often telephoned in from a wide range of areas London Oman Egypt…you can take your pick. There have been so many examples where the “breaking” news from a person ringing is a distortion at best or simply made up. The ABC appears the worst and even BK of crikey.com has got hooked. I confess I don’t watch free to air news on the commercial channels so my view is only that of SBS and ABC. A week ago the ABC took a call from an Indian woman purporting to be attending a university in a town somewhere between Tripoli and Benghazi. The report was absurd as it is the 2 Libyan Universities are located in either Benghazi or Tripoli. Another regular feed we are getting is from a Doctor from within Misrata. No name; The detail of what he says can easily be debunked. Our Australian media is either being incredibly naive or is actively complicit in false reporting. One of the worst examples is with Cabe of the ABC stuck in Benghazi then Tobruk for the duration constantly speculates on events in Tripoli or further west in Towns like Misrata. We get live mobile snippets from either a Mohamed or an Ahmed always miraculously found on the streets somewhere ready to provide eye-witness reports. 1) Last week Turkey announce that it was full in support of the No Fly Zone Yes? A SBS reporter twittered this as breaking this as breaking news some 24 hours later and only just a few hours after the bombing had started. I happen to know this wasn’t deliberate but that they were relying on some news out of the US again on twitter and relied on that as being correct. In fact by the time of the breaking news story Turkey was full on condemning the bombing. We have to be careful with the bias of news contra to what a certain Mr Kean may say. 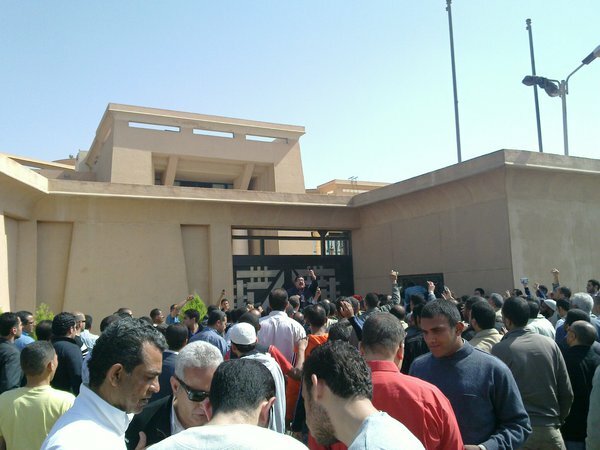 Tweet A 5 March Tweeter; Arab Revolution ” Libyans storm Gaddafi’s consulate in Rabat” see Video It’s not exciting but take note of the guy with glasses tearing up the Green book. Rabat is in Morocco. The Saudis have provided $millions to the NFSL so it is by no coincidence that Obama asked the Saudis to provide more arms to the rebels. The military might of the NFSL was at its height in the late 1980s and early 1990s. In 1987 several hundred Libyan soldiers and a large quantity of Libyan military equipment were captured by the Chadian Army. Libya and Chad were involved in a long-standing dispute over the Azou Strip a territory believed to hold large uranium reserves. The Libyan prisoners were formed into a “Contra” style force led by Col. Abdoulgassim Khalifa Haftar. A week ago the ABC took a call from an Indian woman purporting to be attending a university in a town somewhere between Tripoli and Benghazi. The report was absurd as it is the 2 Libyan Universities are located in either Benghazi or Tripoli. Another regular feed we are getting is from a Doctor from within Mustratau No name; The detail of what he says can easily be debunked. In reporting the fighting for the town of RasLanouf of just 10,00 inhabitants, was often referred to a city. It is a town built expressly for the purpose to serve the oil refinery, which the rebels attempted to destroy before they left. Imagine the challenge of a fire fight in and around the confines of an oil refinery. Gaddafi. had not sworn to show no mercy to the people of Benghazi – he had given the “rebels” a window in which to lay down their arms and he had said that he would show mercy to those launching this armed uprising. He said he would offer an amnesty and to that end Chavez the President of Venezuela suggested an international observer force to supervise any ceasefire. This was rejected by the US and the Rebels. We may choose not to believe him but the fact is …….that is what he said. We may not like him but it is a matter for the Libyans who thy choose to govern and what the system is. He was not speaking about massacring civilians in Benghazi. It might be important to know that the head of the main hospital was hung by the Rebels publicly as were 2 policemen likewise lynched Little wonder anybody that might express the slightest resistance to the rebels might remain silent. Can anyone say the takeover of Benghazi is democratic? Something else puzzles me is this. Is it legal or acceptable in Australia France, Britain or the United States to take up arms, torch buildings, kill unarmed civilians and commit acts of terrorism? No, neither is it in Libya. This issue isn’t about Gaddafi. This isn’t about democracy. This is about control and about oil. The day’s events around Ajdabiya provided further evidence that the rebels stand little hope of defeating Gaddafi’s forces militarily on their own and are relying on coalition air strikes to destroy, or at least greatly weaken, the ability of the government’s army to fight. Some of the rebels mistake the air strikes for their own victories. They dance on the burned out tanks, wave V for victory signs and declare that they are beating Gaddafi. But the revolutionaries outside Ajdabiya only advanced because they expected to move into the town with little resistance. The rebel leadership Adil Hasi, the man in charge of what the revolutionary leadership regards as the regular rebel forces frankly admits that it cannot defeat the government militarily on its own and acknowledges that if it cannot take a relatively small town unaided, its forces are unlikely to be able to seize the better defended cities further west – leaving France, Britain and the US to decide if they are going to fight the insurgents’ war for them by clearing the way for the revolutionaries to advance. Alongside the military campaign, the rebels’ political leadership says it intends to encourage fresh popular uprisings in cities still under Gaddafi’s control. But it may find it hard to persuade Libyans to take the risk unless they have the assurance that rebel forces are close enough to come to their rescue. Members of the revolutionary council have already said they fear that the result of a limited air campaign will be military stalemate and a divided Libya. 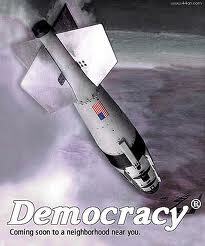 For that reason, they have called for an escalation of the air strikes to wipe out Gaddafi’s army as a fighting force. There is growing alarm in Benghazi in particular at growing disorder by young men with guns who have claimed the authority for themselves to set up arbitrary road blocks, order people around and fire their weapons for the fun of it. President Obama and Prime Minister Cameron kept deliberately twisting and misquoting the words of Gaddafi and taking them entirely out of context so that anything they now say or do should not give you confidence that they are either reasonable or competent to perform their roles. What they have done is to join President Sarkozy in committing an act of WAR against Libya as NATO strikes against Nth Africa and turns its might against the Arab world. The adage in Iraq was today a child, tomorrow a terrorist so blast his face off him, blast his limbs off him and destroy his family. That is why cluster bombs were dropped in civilian areas in Iraq and they will be dropped again in Libya..
Then the oil companies will move back in. 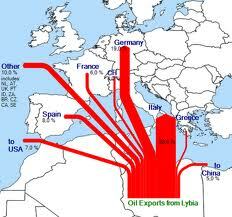 The adage in Libya seems to be protecting the Libyan people by allying with Al-Qaeda, and instigating a revolt in the oil-rich separatist area of Cyrenaica, with Benghazi being its capital, installing a Washington-friendly regime…then the oil companies move in. Fanciful as it may seem the Norwegians should not be so cocky either. They had their quisling in World War 2 and while the government there owns the oil it doesn’t have to remain like that as the known reserves of oil run out. The people of Libya, have enjoyed free housing, free education including university free health care, free social benefits Libya will become a puppet of the West, its resources plundered as the new Libyan oligarchs (like in Russia) are rewarded with positions of power and industrial control. When I set out on the journey of this blog I wrote (see posts “about” and “welcome”) to an “escalator of the hill” I stated I wanted it to be a place for an exchange of ideas and to be democratic. To that end I now include a Saudi funded CIA organised propaganda video released just 4 days ago……just in time for the bombing. It is an amazing piece of work extremely well produced with simply perfect backing music. It shows some footage from 1911, 1922 with the Italian occupation and later refers to General (at that time) Montgomery as being a world leader 🙂 It has a moment of pure symbolism with the meeting of 3 Berber tribesmen and 3 armored cars I guess this is to depict modern Libya under the monarchy. It portrays the establishment of the Libyan Monarchy that was imposed by the British ( a coup of sorts)…and at this point in the film would be laughable were it not for the seriousness of the situation today. We are treated to a young Queen Elizabeth Prince Philip and the independence celebrations. You will also see black Libyan soldiers that put lie to the allegations of black mercenaries in Libya today. Libya has always had a black population. The film leaves NOTHING out. There is nothing to report on free housing, advances in health free education or the emancipation of women simply because there was none to include. These advances did not come until after the coup and when Idris was deposed. A few film images of Idris are shown with Nasser just to complete the scene and fool those who might not otherwise believe this is utter nonsense. It a beautiful bit of marketing though. In 1951, Libya if not the most was almost the poorest nation in the world? Did you know that today it has the highest Human Development Index (HDI) in Africa and the Arab world? The Human Development Index (HDI) is a summary composite index that measures a country’s average achievements in three basic aspects of human development: health, knowledge, and income. It was first developed by the late Pakistani economist Mahbub ul Haq with the collaboration of the Nobel laureate Amartya Sen and other leading development thinkers for the first Human Development Report in 1990. It was introduced as an alternative to conventional measures of national development, such as level of income and the rate of economic growth. Human Development is a development paradigm that is about much more than the rise or fall of national incomes. It is about creating an environment in which people can develop their full potential and lead productive, creative lives in accord with their needs and interests. Fundamental to enlarging these choices is building human capabilities; the range of things that people can do or be in life. The most basic needs for human development is to lead long and healthy lives, to be knowledgeable, to have access to the resources needed for a decent standard of living and to be able to participate in the life of the community. I think you might call that democracy. Without these, many choices are simply not available, and many opportunities in life remain inaccessible. Have the US implemented free health care schemes, are not the British cutting back on theirs. They see health care as a profit centre, they maintain health care as a business. Does the US or UK or Australia distribute land for free and donate agricultural equipment for free?. What we do is impose tariffs on imports of raw materials and food stuffs from poor countries. It is then sold back to them at inflated prices tying them to loans they can’t afford back. The US and UK pay and give subsidies to their own farmers. This is all done while pretending to follow the rules of the World Trade Organisation (WTO). Here is some of the data as at 2010 from the Human Development Index .Obviously should the bombing continue we will see a destruction of the gains Libya has made since 1951. Under each of the headings below you will find some fascinating data; drawing comparison between the world’s richest bankrupt, the US and Libya. How does the US and UK justify the attacks on civilian targets in the last 3 night’s raids? 3 medical facilities were hit? What kind of “dictator” distributes arms to a million citizens? Where are the no-fly zone over Bahrain Gaza and Yemen, where unarmed civilians are being bombed rocketed or shot daily by their friends? Why don’t you explain to your people, as they are faced with public spending cuts, how much it costs to take part in this act of war? 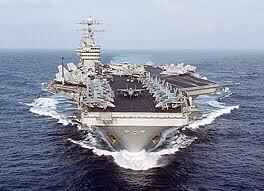 Do the British people know that the cost per aircraft per day is in the region of 200.000 GBP of UK taxpayers’ money. How can they justify spending that amount of money on bombing hospitals, they spending for the UK National Health Service? 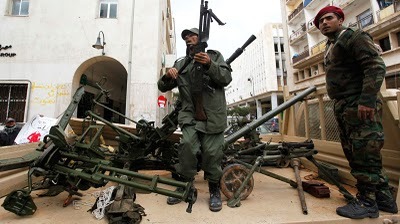 The “rebellion” in Libya is based around Islamic fundamentalists in the historically separatist hot spot of Benghazi. The “rebellion” has been instigated by the West. 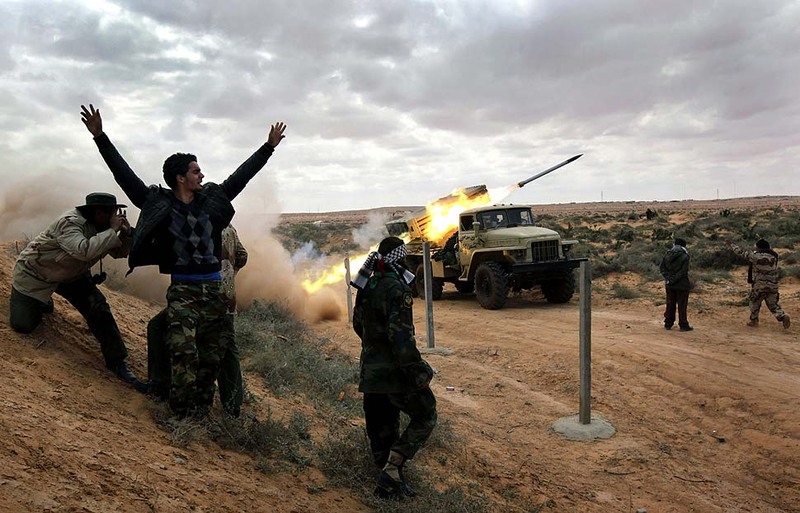 It failed, and when the military forces of Libya after the initial surprise of the uprising won back the initiative. The US saw the chance slipping away to control the main centers of oil production. They refused the Russian-sponsored resolution for a ceasefire and they tried to push through a Resolution allowing a full-scale military invasion. This was quashed by Russia, China, India, Brazil and Germany in the drafting process, All they got was a no-fly zone and permission to use military force to protect civilians [both sides]. But the Libyan authorities are not fighting “civilians”. They are fighting Islamic terrorists. “Statements of support for Libya’s revolution by al-Qaeda and leading Islamists have led to fears that military action by the West might be playing into the hands of its ideological enemies. WikiLeaks cables, independent analysts and reporters have all identified supporters of Islamist causes among the opposition to Col Gaddafi’s regime, particularly in the towns of Benghazi and Dernah. An al-Qaeda leader of Libyan origin, Abu Yahya al-Libi, released a statement backing the [Libyan] insurrection a week ago, while Yusuf Qaradawi, the Qatar-based, Muslim Brotherhood-linked theologian issued a fatwa authorising Col Gaddafi’s military entourage to assassinate him. But they also agree that the leading roles in the revolution are played by a similar cross-section of society as that in Egypt next door – liberals, nationalists, those with personal experience of regime brutality and Islamists who subscribe to democratic principles. The WikiLeaks cables, initially revealed by The Daily Telegraph and dating from 2008, identified Dernah in particular as a breeding ground for fighters in a number of causes, including Afghanistan and Iraq. In response to this Al Qaeda threat Presidents Obama and Sarkozy and Prime Minister Cameron now have the murders of innocent people on their hands. These men are responsible for the indiscriminate use of military resources against all military targets airborne, static or now against all mobile ground forces and civilian targets that get in the way All this is way outside of the outside the scope of the UN Resolution. Why do I write about this Because I am angry that our ABC SBS Kelly Cabe Knight all fail to see need for truth in reporting. How is it a right-wing paper like the Telegraph get it right? I care about the children of the world who are always the ones to suffer the most their mothers who lose their sons daughter and husbands. And now my reconnection with CLAN (Care Leavers Australia) an organisation for all who have been “in care” a new work in progress. I will add footnotes regarding my “family federal magistrates property matter” and to get my solicitor to get hold of the other side again. Have to follow up on the defamation. Which reminds me I must now write to the Human rights lawyer in Geneva with a please F @#&*!^g explain. Have written twice with no response. No surprises there guess you would reply if it wasn’t you or even if it was you might refute that what you had written wasn’t defamatory…on the other hand you might believe that to ignore it is the appropriate way to handle it which indeed it might be but for the fact the person writing to you is obviously aggrieved about it and from a simple “humanitarian” stand point and given that the person works as a Human Rights Lawyer it would not be unreasonable for them to reply with a “it’s really not me”.